When I made my northbound turnaround at the Palm Beach Inlet tonight, the park was closed, but I noticed this sign. I have to admit that I didn’t read it closely until I saw the last line: REWARD…$1,000. That brought to mind a story, like so many things do. 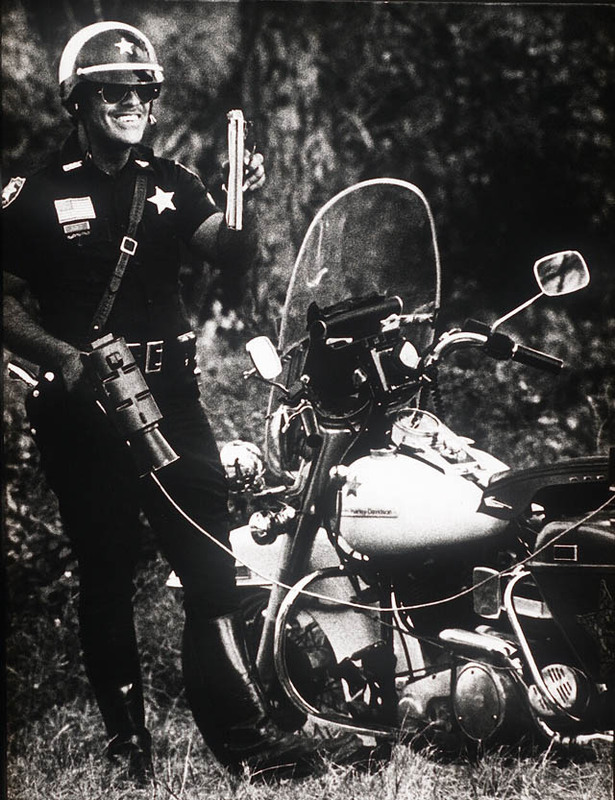 Back in the early 70s, I did a piece on a Palm Beach County motorcycle cop who had the reputation of writing more speeding tickets than any other cop in the county. He was a character and a half. He’s dead now, but I’ll still just call him John to protect the not-so-innocent. John didn’t want Fifi to get run over or to cause an accident, so he took Fifi into custody and incarcerated him/her in the back of his squad car while he figured out what to do with the offender. About that time, a BOLO (Be On Lookout) broadcast for Fifi came over the car radio. John advised that he had the subject in custody and would release him/her to the owner. The owner was so happy to get Fifi back that he made John take a $100 reward, back in the days when a hundred bucks was Big Money. 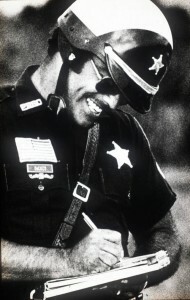 After John went back to the station and told the other officers what had happened, Fifi would “disappear” every couple of weeks only to be recovered minutes after the BOLO was dispatched. The owner, of course, couldn’t figure out how that dog managed to escape, but he was only too happy to reward the officers of what he had to say was the most conscientious police department in the country. Not every department would take a missing dog report so seriously. They don’t make cops like John anymore. That’s why George the Cat is still at large. Good one. Never heard this story before. I do remember the Palm Beach cops back then were a rule unto themselves … especially if you were under 30 and obviously headed to or from the beach. 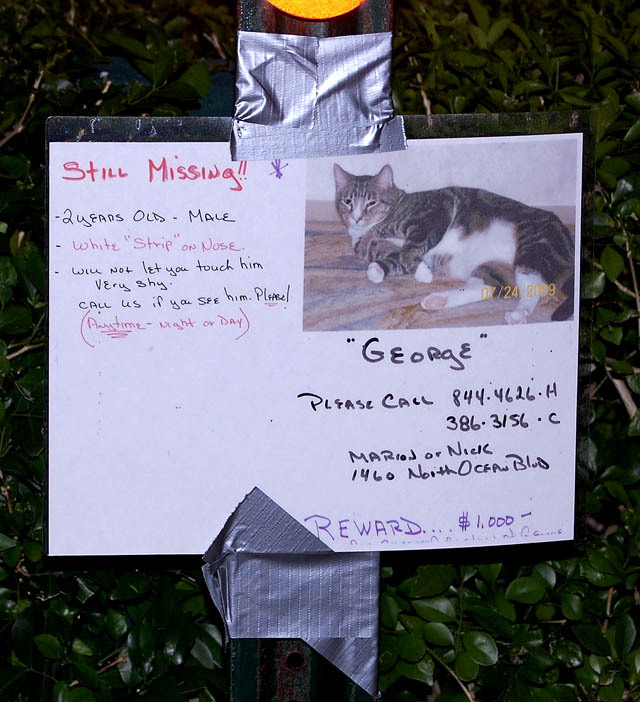 Aw, poor George-the-Cat. I would be a mess if one of my cats went missing – that’s why they never leave the house. How about the time the shirtless jogger was arrested for indecent exposure? I had a photographer working for me who drove a beat-up old Volvo while he was dating (and eventually married) a Palm Beach girl. I think every cop in Palm Beach pulled him over until they got to recognize his car.